I think I’ve been waiting for I’m Not There more than I’ve been waiting for any other single in this blog. I anticipated that I would write a huge, sprawling post on the greatness of this film. When I first saw it, when it was released in 2007, I thought that it was absolutely brilliant. When I watched it again last night, I thought the same again. Indeed, I was so impressed by it that I’m not even all that certain that I have a lot to say. I will say this: I wish I had made it. For me, there is a certain very small set of cultural texts that I so admire that I really wish that I had made them. They seem to hit my aesthetic and cultural interests so squarely that I find myself thinking “I couldn’t improve upon that” or “I wish that my brain worked in such a way that I could have made that, that I could have been the one to communicate that”. I don’t think it’s a form of jealousy, because I always feel it in a rueful manner. Certain of the films by the Coen Brothers do this to me. Certain of Chris Ware’s comics. Jennifer Egan’s novel, A Visit from the Goon Squad, was the last thing in text that did it for me. 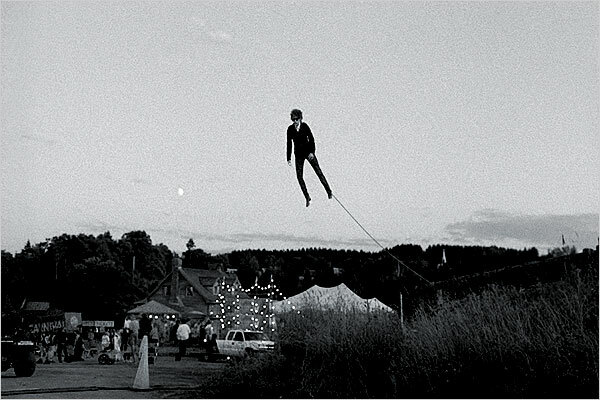 Last night I, again, had that feeling about I’m Not There. Strangely, I’ve never had it about an entire Dylan album. 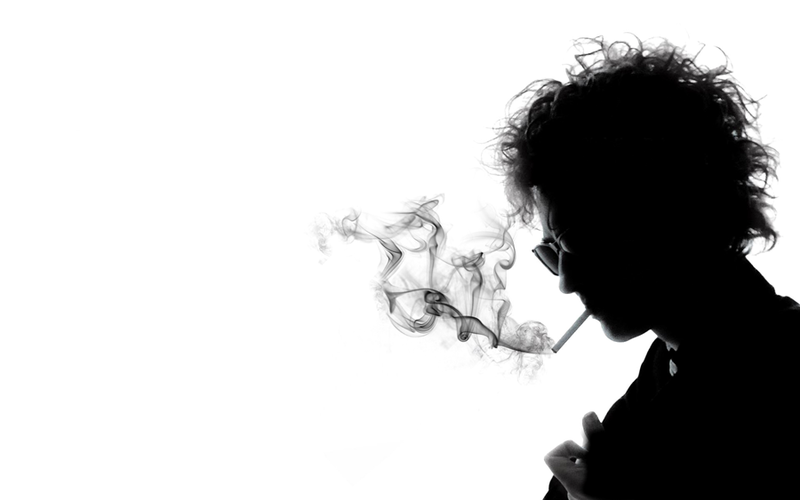 I don’t think that I’ve ever wanted to be Bob Dylan, and I’m not even sure that I’d want to meet Bob Dylan. I admire a lot of what he’s done, and he can even hit me on an emotional level. But there is always a little bit of distance there. With Todd Haynes it is less. I’ve been a big fan for a long time. I wasn’t cool enough – or Hamilton wasn’t cool enough – to have known about Superstar when it came out in 1987, so I wasn’t there from day one like all the hipsters. I saw Poison as a film student, and Safe, and Velvet Goldmine in the 1990s. It was Far From Heaven in 2002 that put him over the top for me. That’s when he went from “really interesting, I should see that” to “my god, this man is an absolute genius”. Of course, a lifetime of watching Sirk films as a film student is great prep for loving a film like Far From Heaven. 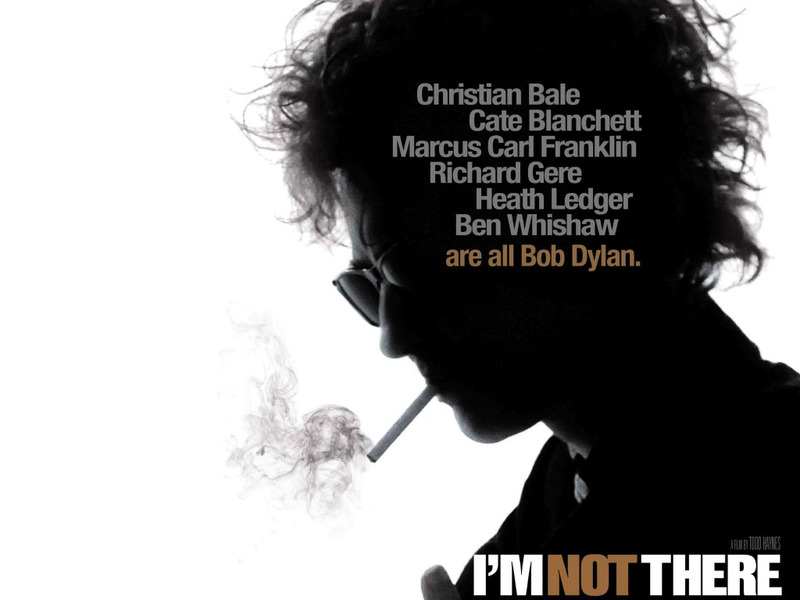 Similarly, a year of listening to nothing but Bob Dylan is great prep for loving a film like I’m Not There. Every single bit of the film is just great. Not just great, but great great. The attention to detail is really amazing. When Christian Bale, as Jack Rollins, plays in front of that truck, it is like watching Dylan photos brought to life. The use of material from Eat the Document – particularly the John Lennon bit – was actually eerie. There are parts of the film that I could talk along to, because I’ve heard Dylan give the press conference answers that come from the mouth of Cate Blanchett and Ben Whishaw. Fantastic. 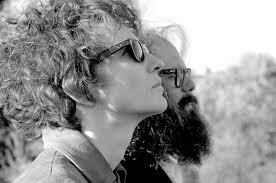 The thing that amazes me about I’m Not There is that there is no single genre of filmmaking that I dislike more than the Bio Film. There are so few of them that I can stand to watch (Raging Bull, ummm, I’m running out of others….). A film like Walk the Line, to pick an example that explores territory that Haynes could have explored here with a very similar subject, is, for me, painful to watch. Yes, it has some great performances, but there is so little drama to it – it’s a rote ticking off of boxes in the life of this Great Man. When I watched Walk the Line I wished that the scene where Johnny Cash and Elvis and Carl Perkins and Jerry Lee Lewis are drinking in a parking lot was the whole film. I wanted to hear from those guys – those young guys – about what they wanted to do with their lives, with the full awareness of what they did do. The rest was just so much bumf. Haynes gets rid of (almost) all of the crap that clogs the arteries of the Bio Pic. The specifics of Dylan’s life can be rendered dramatic – and then they booed him at Newport! and then they called him Judas! and then his motorcycle crashed (and all three of those things are in the film) – but that also seems like the least interesting thing about Dylan. Scorsese got drama out of No Direction Home, but only of a limited sort. Haynes goes for something much, much bigger. He actually wants to tell us something about Bob Dylan, not about the life of Bob Dylan. It’s a big distinction. 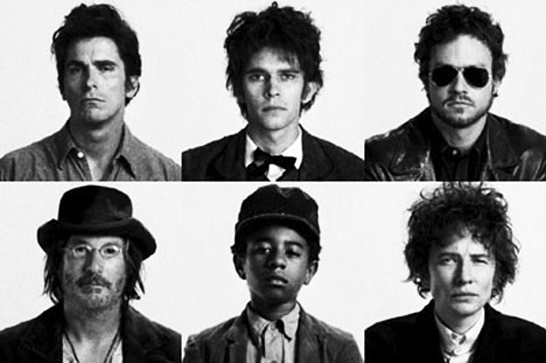 The film is, of course, most famous for the fact that it takes six actors to play Dylan. Each is charged with a part – a private part, or a public part, or a part that might never have existed. The casting of Marcus Carl Franklin as Woody is the first masterstroke of the film. There are so many embedded layers to that decision – from Dylan’s desire to take on the persona of his idol, to the very falseness of it, to the depiction of his youth and naivete on the subject. “We’ve had the union since 1939”, one of the hobos says about Woody’s union songs in 1959; “sing about your own time”, he’s told. Ben Whishaw probably doesn’t get enough attention for his strong performance here. He has the least showy role – sitting on a stage, smoking, as Arthur Rimbaud (about whom Haynes had made an earlier film), quoting Bob Dylan endlessly. I think he’s great here, although he isn’t asked to do a lot more than mimicry. Christian Bale’s is a strange performance, but I love the connection between the young, politically committed Jack Rollins and the older, religiously committed Pastor Jack. It’s a harrowing vision of what Bob Dylan might have become in another lifetime. Heath Ledger, who plays an actor playing Jack Rollins, is strong here too. Charlotte Gainsbourg’s combination of Sara Lowndes and Suze Rotolo generally upstages Ledger in most of their scenes together – not an easy task. I actually would have loved to have seen a film just about her character. I love all the Richard Gere parts, and not simply because Days of Heaven is one of my two or three favourite films of all time. Everything here from the loss of his dog to the confrontation with Pat Garrett/The Thin Man, to the passing giraffe, is just done so well. The mythological Peckinpah hero simply ties together so many parts of the Dylan mythology, and even though I didn’t like Pat Garrett and Billy the Kid, the use of the characters here is a wonderful reflection on a man hiding from his fame. Finally, Cate Blanchett as Dylan at his zenith. So, so great. It’s hard to watch a lot of this material – the cruelty, the vanity, the self-importance, the preening. The drug-addled Dylan is one of my least favourite Dylans, and it is tough to watch it literalized here. Again, this could have been the whole film. I’m reminded that Factory Girl, which was roughly contemporary with this, featured a Dylan surrogate named Quinn who torments Edie Sedgwick to her death (Dylan threatened to sue). That wasn’t a good film, but it made me want to see a film that was simply about the night Bob Dylan tested for Andy Warhol. Now that would be a great film about two very different (though somehow related) ideas of the 1960s. The film is replete with moments like this one, where the subtext of Dylan’s songs adds tremendous gravitas to this film about his songs. I think it was wise of Haynes to hold off, then, on “Like a Rolling Stone”, playing it only over the closing credits. The song itself is so cinematic, so rich, that to use it in the narrative would be too much like playing with fire. Additionally, I really like the way that Haynes uses songs from later in Dylan’s career. While the film doesn’t go much past the end of the 70s with Pastor Jack (unless Billy the Kid is Dylan’s future, set in the past? Could be), it does use songs from much later (“Man in the Long Black Coat”) and uses them really well. Haynes has a deep, deep understanding of the Dylan catalogue. As proof, let’s note that the title track had not been officially released until this soundtrack appeared, and not on a Dylan album until a couple of weeks ago with the release of the new Bootleg Series. I knew the song, as I’m sure Haynes did, only from the depths of A Tree With Roots or another complete basement tapes bootleg. It’s a tremendous song, by the way, and an outstanding choice for the title and the theme. 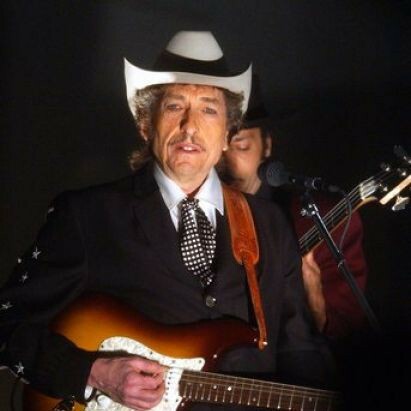 Certainly the most jarring part of the film is the very last piece – when the “real” (and I think that this film makes me want to always question that term) Bob Dylan arrives on stage, blowing on his harmonica. This is Pennebaker filmed material from 1966, “Mr. Tambourine Man”. After this magical tour de force Dylan seemed so alien in his real body up on that stage, powerfully present yet also more distant (despite the close proximity of the camera) than the fictionalized versions of himself. It’s a gut punch of an ending, I’ll tell you that. Dylan himself had little direct involvement in the production of the film, though he did like it. He told Rolling Stone’s Mikal Gilmore, in 2012, “Yeah, I thought it was all right. Do you think that the director was worried that people would understand it or not? I don’t think he cared one bit. I just think he wanted to make a good movie. I thought it looked good, and those actors were incredible.” I guess that’s as close as you’re going to get to a rave from someone like Dylan. Me, I like it a lot better than that. Also, Haynes directing Jarvis Cocker doing “I’m Still Here” for the Six by Sondheim documentary on HBO was so, so, so brilliant.